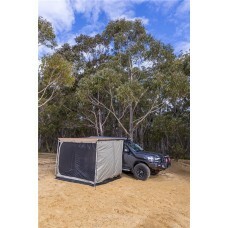 Fits 2M x 2.5M awningsDesigned to function as a fully enclosed room or mosquito net, the new ARB Deluxe Awning Room with Floor provides weather protection, privacy and insect protection. This new awni.. 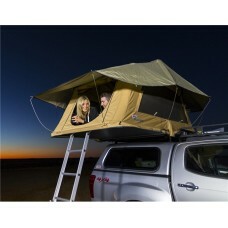 The new Kakadu model tent is a new addition to the successful range of ARB Touring products. It shares many features and components with the Simpson model but has been designed for simpler set up and .. 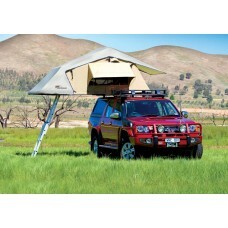 The ARB annex is the perfect way to add a little additional living space to your roof top tent. This additional zip on room will fit a couple of extra cots if you'd like to have the kids sleep downsta.. 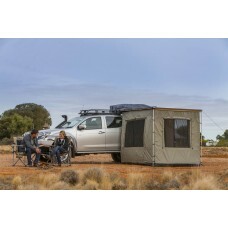 The ARB Simpson III Rooftop Tent will provide the ultimate in ease and convenience when travelling. 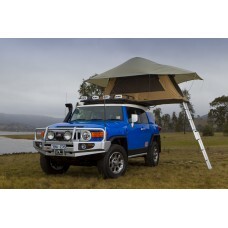 Unfolding in minutes, a rooftop tent provides sleeping quarters off the ground, protected from the ..
Easy to mount and operate, these retractable awnings fit on to the side of a roof rack, and are conveniently stored for immediate use on arrival. 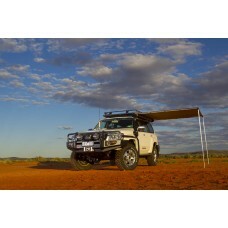 specifically designed for harsh outback conditions, ..
Easy to mount and operate, these retractable awnings fit on to the side of a roof rack, and are conveniently stored for immediate use on arrival. Specifically designed for harsh outback conditions, th.. This optional mosquito net allows you to make an enclosed bug-free room under your awning. Terrific when the mosquitoes are relentless or you'd just like to keep the insects off your dinner. Suitable ..
Awnings are great for providing protection from the sun and rain, however not from wind. The addition of front and side windbreaks not only provides wind protection but helps secure the awning with an.. Fits ARB3111A Awning The three wall set is comprised of three individual walls that wrap around the outside of the awning legs. Joined together by a zipper, each wall can be used individually, as a pa.. Fits ARB4402A Awning The three wall set is comprised of three individual walls that wrap around the outside of the awning legs. Joined together by a zipper, each wall can be used individually, as a pa.. 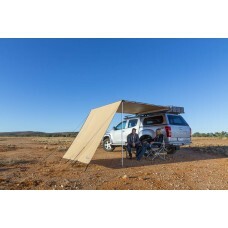 Fits ARB3108A Awning The three wall set is comprised of three individual walls that wrap around the outside of the awning legs. Joined together by a zipper, each wall can be used individually, as a pa.. Fits ARB4401A Awning The three wall set is comprised of three individual walls that wrap around the outside of the awning legs. Joined together by a zipper, each wall can be used individually, as a pa.. 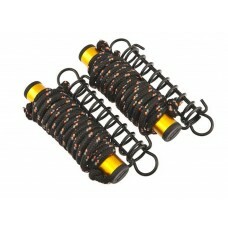 The perfect companion for ARB Awnings, ARB Guy Ropes incorporate a spring loaded tensioning system that absorbs shock to the peg in windy conditions, helping keep the guy rope taut and the peg firmly .. 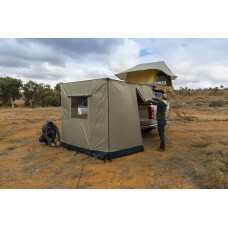 Optional ARB mosquito net provides a bug free room under the shade of your ARB Awning. 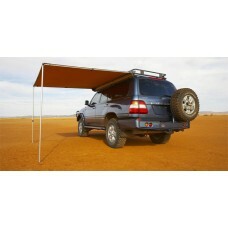 Fits ARB4402A Awning .. 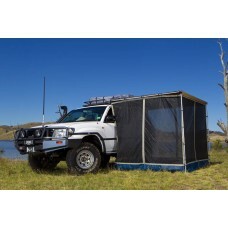 Fits ARB3108A AwningDesigned to function as a fully enclosed room, the awning room includes a durable floor, two large mesh windows with roll up blinds and a zippered door with solid and mesh panels. .. Fits ARB4401A AwningDesigned to function as a fully enclosed room, the awning room includes a durable floor, two large mesh windows with roll up blinds and a zippered door with solid and mesh panels. 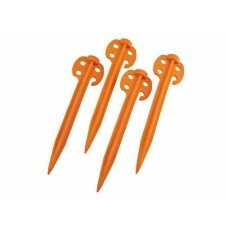 ..
With a unique head design, the ARB Supergrip Sand Peg offers more grip in surfaces such as sand, soft soils and snow than traditional tent pegs. Bright orange color reduces tripping hazard and makes ..